Play Fast Camp is NXT's fundamental-level four-day camp for boys ages 7-14 who want to tune-up their skills and elevate their game. For players of all levels and positions, including goalie, the carefully-designed Play Fast curriculum skips the lines and puts players through fast-paced, high-energy drills. The 8-to-1 player-to-coach ratio keeps things moving. In the morning players work on individual skill development and team concepts, with the afternoon dedicated to team bonding, splash games, and scrimmages. Play Fast camp is all about having fun and playing lacrosse. Spend the week with your friends and teammates, develop your fundamental skills and then battle it out during afternoon games! Our original Trashcan Lacrosse game is a camp favorite! This possession game teaches ball movement, stick skills, and working off ball! 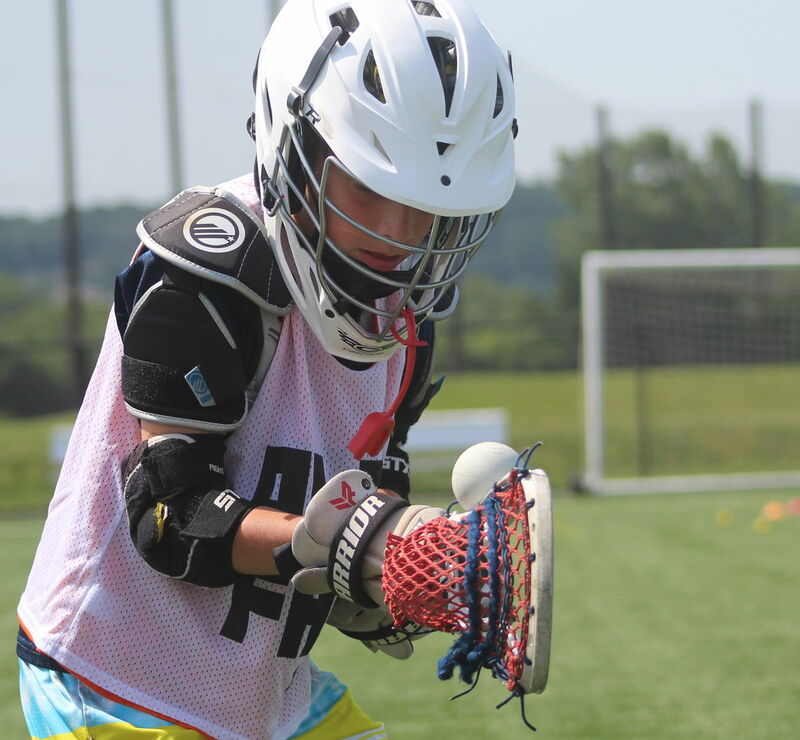 We provide the perfect balance of lacrosse instruction with fun camp camaraderie. Whether it's cooling off with the water balloon toss or clocking your fastest shot, we have competitions and giveaways that keep players engaged and having fun! There is a certified Athletic Trainer at every NXT camp and training to keep kids safe. And all NXT coaches must be PA-Act 153 Certified. Everyday there’s skill challenges, games and prizes. Camps sessions end with an awards ceremony that parents are welcome to attend. Amazing locations make for amazing experiences. From turf conditions to parking, we consider a range factors when picking camp locations.